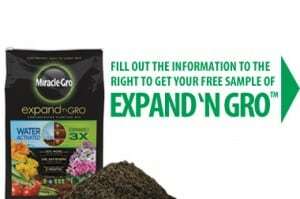 Click here to visit the Exact Target site and fill out the form to request a free sample of their Miracle-Grow Expand n Gro. Image Credit: Exact Target; thanks BeBe! Thank you for allowing us the opportunity to it. sure hope this will help my Orchid’s live, and my other plants just need to be fed a meal. Can’t wait to get this and see just how it works. I can’t wait for my free sample.